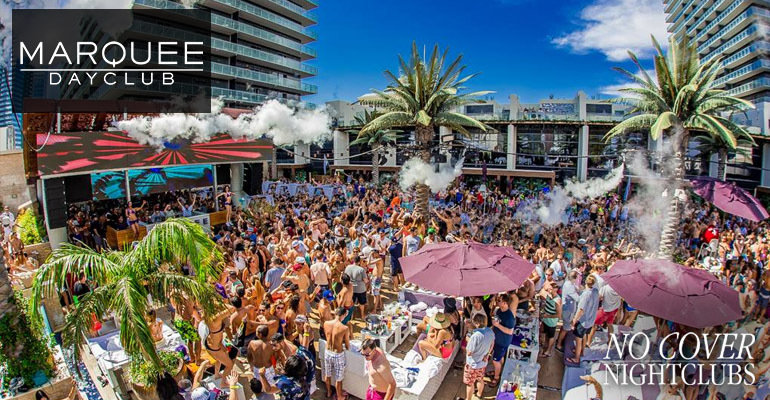 Simply choose the nightclub, dayclub, or event you want to attend and fill out the simple form. Make sure to include the correct date and number of people in your group. From there we handle the rest. You will receive confirmations with all the guest list instructions via email and text so you have proof of each list and the easy steps to follow. Once on our list ladies receive free entry and certain venues provide free drinks. Men receive free entry or reduced cover charge. Be ready for fun because everyone skips the general admission line. Some venues require an even ratio of women, or more women than men, but not all. See how each guest list works by visiting each individual venue page on our site. More guest list details here. Why Join Our Guest List? We work with every major nightclub and dayclub in Las Vegas by contract and with a Nevada Gaming Control Board license (only a few legit groups have this). But hey who cares about that? The nitty gritty is that our guest list platform connects directly with each club's system and puts your name directly to the list the doorman will be holding at the club entrance. In other words, we have access to submit directly. Our track record, user reviews, and happy guest experiences speak for themselves. If you want to risk being left outside at the entrance with a ruined night feel free to go with a different promoter. But if you want a trusted source that provides you with confirmations, peace of mind, and holds a history of helping thousands of groups enjoy the guest list for free, then No Cover Nightclubs is your new best friend. What Time Should I Arrive At The Nightclub? While Las Vegas is a 24-Hour town with clubs that run into the early hours of the morning, we recommend arriving at the venue at 10:15 PM to check in to the No Cover Nightclubs guest list. As the night goes on many clubs will close their guest list so arrive early. It's true that the venues are always looking for groups of highly attractive women to throw amazing parties. No club wants a sausage fest, but that doesn't mean the men are left out of the party. Each nightclub handles the guest list differently depending on the night and the event. To be on the safe side we always recommend having at least a one-to-one ratio between men and women to get the entire group in for free. This means at least one lady for each gentlemen. Sometimes the guest list only lets ladies in for free, other times they are fine with the guys or may give men reduced cover. Will Guest Lists Work On Holidays? While all guest lists are at the mercy of the venue, most locations close guest lists on major holidays or for special events or performances due to the increased demand. Las Vegas’ busiest holidays are: New Years, Super Bowl, March Madness, Memorial Day, Fourth of July, Labor Day, and Halloween. The guest list may also be reduced on certain fight weekends as well. What Happens When I Fill Out The Guest List Form? We immediately put your information into our calendar and submit to the venue. You will receive a confirmation email outlining all of the instructions, and a text reminder the day of. If there’s an issue with your request for the No Cover Nightclubs guest list, we’ll contact you as soon as we can and help you resolve it. It’s such a smooth process, you’ll be on the dance floor before you know it. Reminder: The guest list submissions close around 9pm, so make sure to sign up before then. Gentlemen: Collared shirts, slacks or nice jeans, dress shoes. Sorry no sneakers, athletic attire, or hats. See our more detailed dress code guide. Ladies: You can get away with much more than the male counterparts, but a nice dress with some decent heels will always work. Avoid flip-flops or destroyed clothing. For the pools the men must wear swim attire, so avoid cargo shorts or your clothes from last night. Most pools search guests upon entry and don't allow liquids of any kind. While almost anything can happen in Vegas, every venue abides by the law requiring all guests to be 21 years of age. What If I have Problems At The Venue? We guarantee that you won’t. If you're still not convinced, check out our Testimonials page and hear from some of our past satisfied customers. 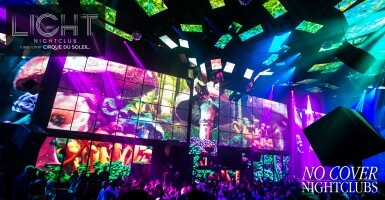 Using No Cover Nightclubs is absolutely free for guest lists, and that's how it's going to stay. Once on our guest lists ladies typically receive free cover and are often treated to free drinks. Gentlemen may be free or offered reduced cover charge (they pay the clubs, not us). Do We Have To Be Attractive? Okay, let’s dispense with a myth here that keeps a lot of otherwise fun-loving people out of nightclubs: You don’t have to be a supermodel to enjoy Vegas nightlife. That said, you DO have to be dressed fashionably. After all, our featured clubs are sophisticated, upscale establishments, and there’s a certain look and vibe they want to maintain. So, while you can’t control whether you have strong cheek bones or the legs of a showgirl, you can control what you wear and your appearance, and that can go a long way to making you look good. Thus, dress for the occasion. You’ll be amazed how looking good can make you feel good, too. And when you feel good, you have fun.